On average, about 10,000 Americans retire every day, and rather than “aging in place,” retirees increasingly are doing just the opposite. 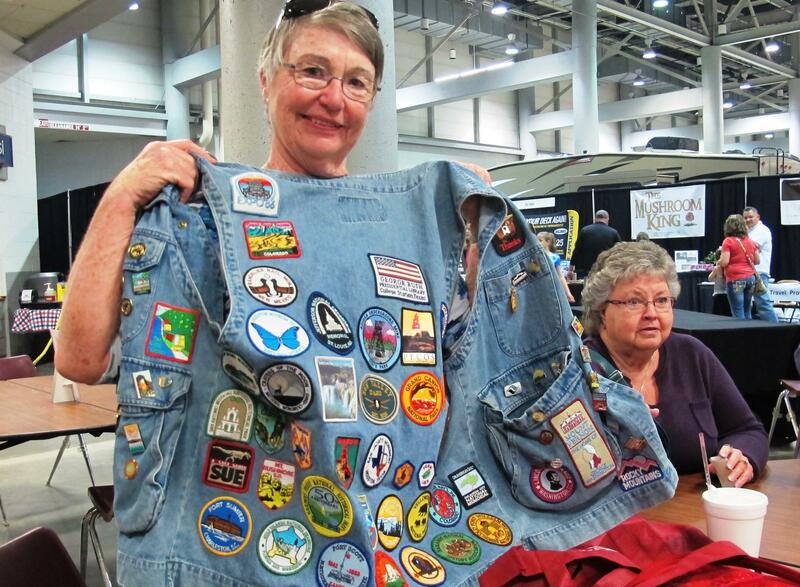 Diane Herynk shows off a vest with patches and pins from some of the many places she and Jim, her husband of 48 years, have traveled. Take Diane Herynk, president of the Working Sams RV club. “Sams” is short for Samaritans. Good Samaritans is a national camping group with hundreds of local chapters. The Working Sams group is based in Topeka, Kansas. Retirement has given members of the group much freer travel schedules. They tow their campers around or drive motor homes around the country, living what Herynk describes as an "exhilarating lifestyle." 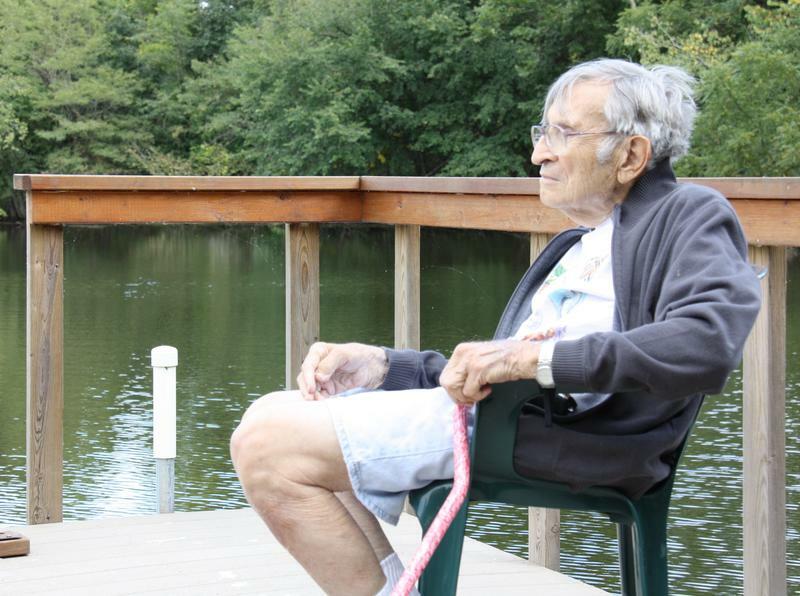 “Being alive, getting out there, getting up every day and moving,” beams Herynk. “You get out in nature, out in the country and it’s wonderful. You’re sitting on the ocean, or you’re sitting on a mountain, or you’re sitting by a stream. You’re not inside a movie, punching a calculator, or an iPad or a television,” she says. Don’t think open spaces and solitude, though. The kind of RVing most retirees with do isn’t even close to a lone tent miles out with no one else in sight. “Now, my idea of roughing it is not having full hook-ups,” jokes Nancy Bower, a club member. By “full hook ups” she is talking about campsites with not just the basics such as electricity, running water, and a sewer connection but some modern niceties too: cable TV, phone, and WiFi. She says in some ways RV travel is more luxurious than staying at hotels. “I think one things is that we like is the convenience of not having to haul things in and out of a hotel, and if there’s dirt in there, it’s our dirt. And we don’t have to worry about bed bugs,” says Bower. RV enthusiasts like to point out that you don’t have to pay for hotels rooms either. But RVs aren’t cheap. Spartan camping trailers go for around $10,000, but most people want something bigger and fancier. 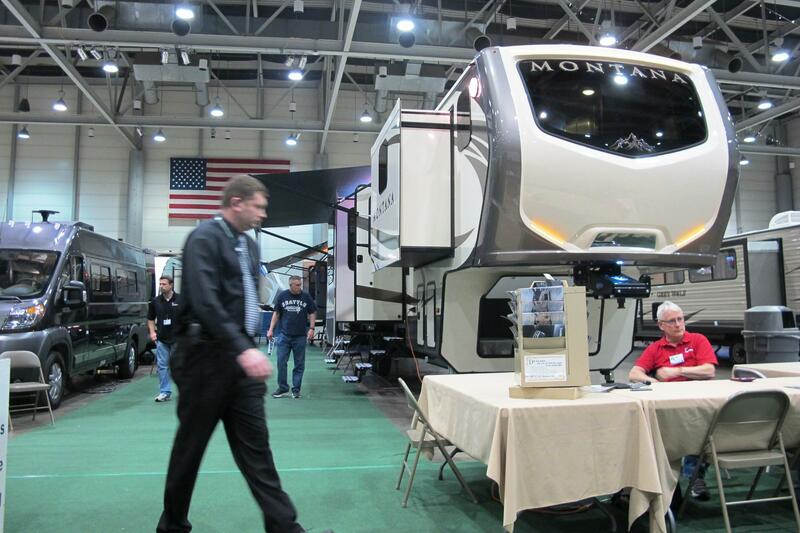 It’s not hard to spend $100,000 on a large trailer and up to $400,000 on a luxury motor home. Then there’s the maintenance, insurance and fuel. Finding a place to park can cost, too. There’s always a free spot in Walmart parking lots, but a spot at a “full hookup” RV park can cost upwards of $40 a night. Then, someone has to know or learn how to drive a large vehicle or pull and backup a big trailer. One thing you don’t have to worry about though, says Herynk, is getting bored. “We sit around and eat. We try and pick camp grounds that are near a festival, and we try to go to the festival, or the storytelling, or we may go looking at rocks and geology and nature studies, or we may go to a historical site,” says Herynk. “We drink a lot of beer, too,” puts in Don Bower, Nancy’s husband. “Drink a lot of wine,” adds Bob Barnes, another member of the group. At first brush this kind of rolling party may seem like a pretty good way to spend retirement, and RVs are poised to sell in near record numbers this year. Retirees are the classic buyers. 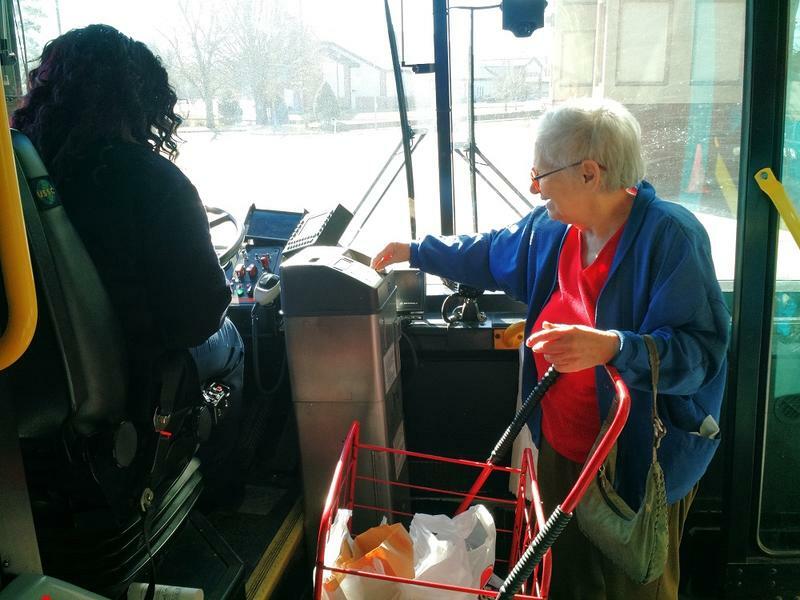 But, the percentage of elderly people who actually take to the road is small. When the AARP surveyed it’s members this year, it found that only 3 percent of those planning trips said they were planning to stay in an RV park. Still, Joan Barnes says once you've sampled traveling with an RV, it can be habit forming. “In fact, we have many friends who have sold their homes, and are full-time,” says Barnes. This time last year, Darlene and Bob Hahn had never owned a camper. They bought one in the spring, and months later they put their house in Topeka on the market — just to see what would happen. It sold almost immediately and tossed the Hahns into a new lifestyle. The Hahns are in Texas because they couldn’t find an RV park vacancy in Florida. Hahn says there are around 500 RV parks on the Mexican border, set up for “winter Texans.” But Texas had open RV sites because Canadians, who like to snow bird down there in the winter, are staying home because the Canadian dollar is only worth about 75 cents. “We’ve got the pool, the wood working shop, the shuffle board court, the dance floor, the sewing room, got everything a 55+ resort could offer,” says Hahn. Though Darlene Hahn and her husband are a long way from home, they’re not lonely. Hahn says it’s liberating not having a house to worry about. Although the bathroom leaves a bit to be desired, and making the bed in the camper’s close quarters is hard. Still, she and her husband are not in a hurry tie themselves to permanent shelter. “We are still looking to have nest somewhere else, but we haven’t found one yet, so we’re just going to travel for a while until we settle down," she says. For now they plan to stay out, following good weather and enjoying the United States along with a growing community of highly mobile retirees. Frank Morris is a national correspondent and senior editor at KCUR 89.3. You can reach him on Twitter, @FrankNewsman. Most of the people older than 65 in the Kansas City area live either on their own or with family, meaning a spouse or child or a grandchild. But most older people living with grandchildren are the caregivers in the house. It was different for me. When my mother died, my husband and three young children moved into the family home to live with my aging father. We lived together for 17 years. Here’s a sobering stat: one-third of seniors 65 and older fall every year. Everyone is susceptible to falls. People of all ages trip, stumble and bump into things. People who are young and fit don’t have much trouble bouncing back. But if for woman older than 80 in otherwise good health, a broken hip triples the risk of dying in the next year.